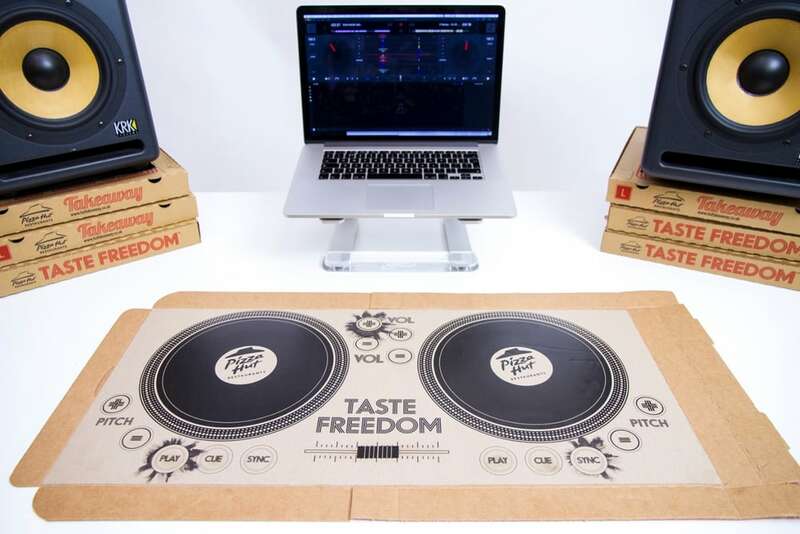 In a move to make ordering pizza a blast for its customers, Pizza Hut has collaborated with printed electronics company Novalia to release the world’s first playable DJ pizza box! Released at a select number of Pizza Hut’s United Kingdom branches, these new pizza boxes come packed with their own battery-powered printed setup, and let users connect their smartphone or computer to the box itself to whip up some hot beats! This is accomplished through the use of Novalia’s touch-sensitive printed products, and will allow users to DJ their songs using software like Serato DJ. While this promotion is currently available only in the UK, keep your eyes open for news on an international release for this awesome, creative way to reuse old pizza boxes. In the meantime, check out the video below to see the beat-boxing box in action!